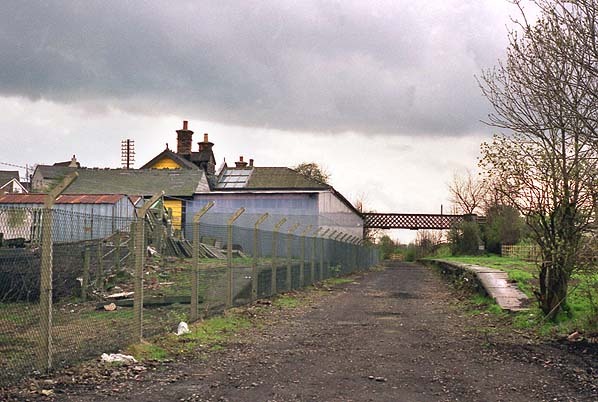 Present state: Both platforms remain extant with the Trans-Pennine Way running through the station site, the station footbridge is also extant carrying a public right of way. At the time of writing the timber building complete with its canopy (now boxed in) on the 'up' platform is also extant although the building will be dismantled in the near future and re-erected elsewhere. 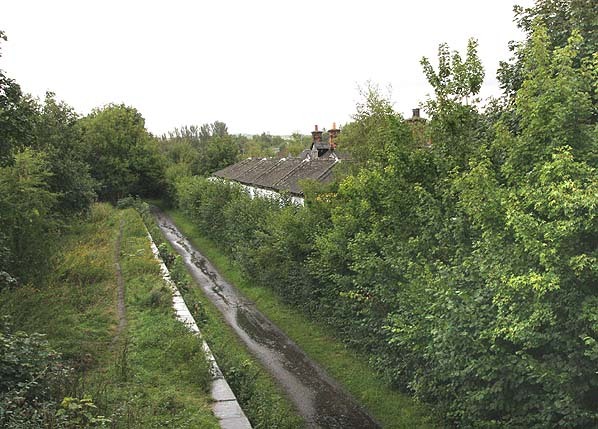 Notes: Killamarsh Station had two platforms with a timber building building with a substantial canopy on each, a footbridge joined the two. The booking office was in the 'up' side building. There was a goods yard with a large brick goods shed on the 'up' side of the line to the north of the station. There were two other stations in Killamarsh. The first, opened by the North Midland Railway was renamed Killamarsh West. 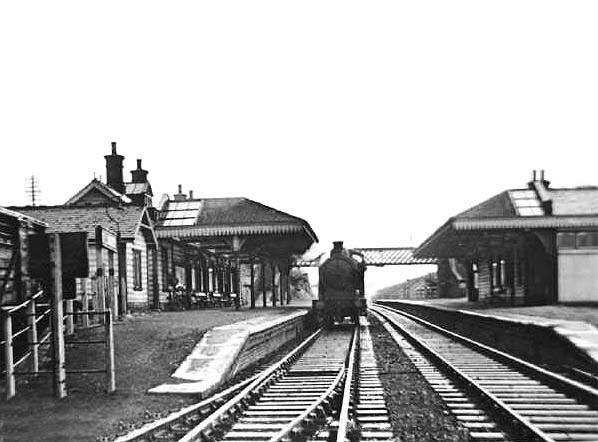 The third, which closed in 1930, was Upperthorpe and Killamarsh, built by the Lancashire, Derbyshire and East Coast Railway. Killamarsh was renamed Killamarsh Central on 25th September 1950. 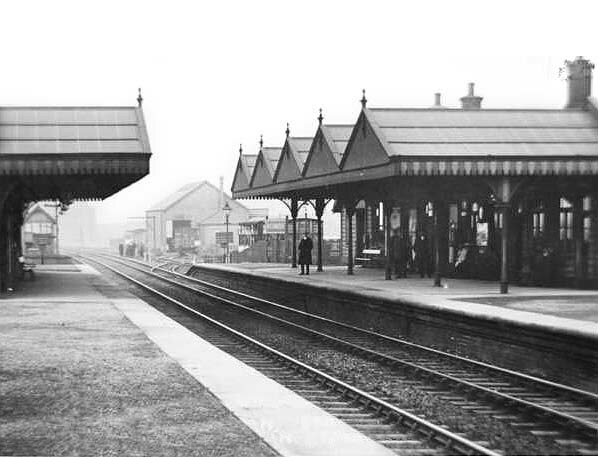 At some stage both canopies were rebuilt and in the late 1950's the building on the down platform was demolished and replaced by a waiting shelter. The station closed on 4th March 1963 when local service on the Great Central were withdrawn but continued to be used by some excursion trains until 6th May 1963. The station remained open for goods traffic until 12th June 1965 and a private siding remained in use after that date. 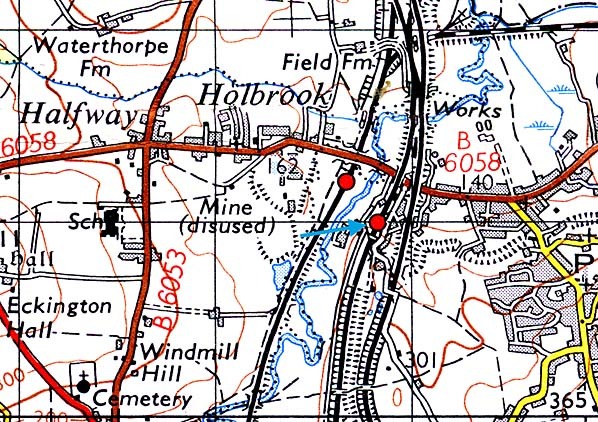 The track through Killamarsh remained in use until 1983 serving the Arkwright Colliery at Staveley although it wasn't used after 1981 when a new spur onto the former Midland line was laid at Staveley. The track through Killamarsh was lifted in February 1983. In the 1965 station building was bought by Havenplan Ltd. and used as an architectural emporium selling a large range of architectural memorabilia including many railway items, they also hired artifacts to film and TV companies. New housing was built to the north of the station, partially on the trackbed and on the goods yard in 1989 although the Trans-Pennine Way was maintained through the site. Havenplan closed recently and the site was sold the a developer although the station building was offered to anyone who was prepared to dismantle and re-erect it elsewhere for £1, the developer stipulated that the whole building would have to be removed not just a part of it. 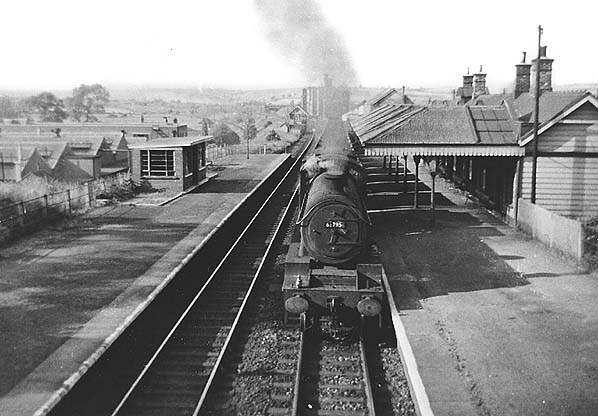 Killamarsh Station looking south in the 1950's. Note the original canopies have been replaced. Killamarsh Central Station looking north in the 1960's. Note the 'down' side building has been replaced by a waiting shelter. 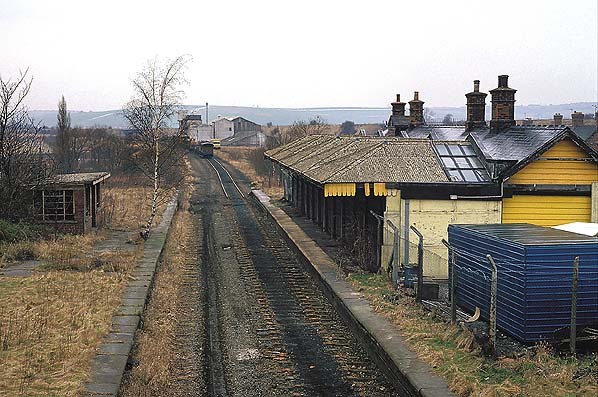 Killamarsh Central Station looking north in February 1983 during track lifting.